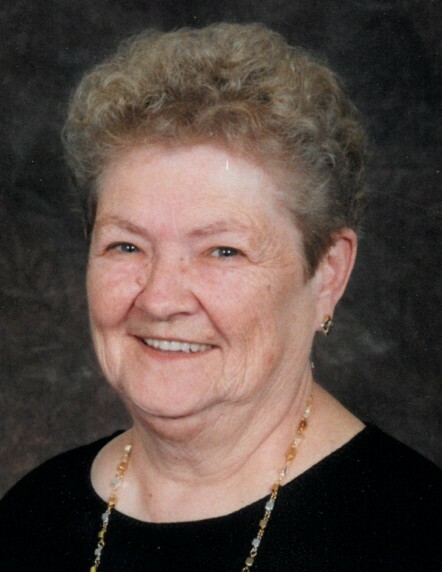 Age 83 of Wilmington, passed away peacefully at her home on Saturday morning, February 9, 2019 with loving family by her side. Born at home in Wilmington on October 25, 1935, Faye Ann was a daughter of Melvin A. and Josephine E. (Swartz) Friddle. She was raised and educated in Wilmington and went on to marry Ellsworth K. Hansen. Faye worked at Hansen’s Confectionery and later became one of the first employees of Precision Components in Wilmington, from where she retired from after more than 25 years. Following her retirement Faye enjoyed working at Courtyard Candles. Survivors include her children: Greg (Cathy) Hansen and Cindy Friddle, both of Wilmington, Kim (Tim) Mitchell of Braidwood and Dawn (Marvin) Norris of Wilmington; seven grandchildren: Tim Hansen, Gregory Hansen, Jr. and Shanon Friddle of Wilmington, Brandon Bormet (Katie Faletti) of Goose Lake, Breanne Bormet of Braidwood, Tim, Jr. (Kaelie) Mitchell of Joliet, and Khrista (Adam) Boyd of Coal City; eight great grandchildren: Tim Welker, Jr., Dylan Welker, Mackenzie Welker, Madison Boravicka, Kylee Boyd, Payten Boyd, Kyndra Cox and Haley Cox; siblings: Melva Jo McCarville of Wilmington, Don (JoAnn) Friddle of Tennessee, Chuck (Joyce) Friddle of Florida, Kathy Friddle and Karen Friddle, both of Wilmington and Mary Hairald of Dwight; one sister-in-law, Jan Laffoon of Bristol, Indiana; numerous nieces and nephews including her special niece Joleena Harrod, and countless friends, as well as her lifelong friend, Ruth Buchanan. Faye was preceded in death by her parents; husband Ellsworth (1974), son-in-law, Francis Friddle (1999); grandson Brian Bormet (2005) and brother Dale Friddle (2007). The family will receive friends for a visitation on Wednesday, February 13, 2019 between the hours of 4:00 p.m. and 8:00 p.m. at Baskerville Funeral Home, 700 East Kahler Road in Wilmington. Funeral services will follow Thursday February 14, 2019 at 11:30 a.m. in the funeral home with Rev. Dr. Roy Backus officiating. Burial will be in Abraham Lincoln National Cemetery in Elwood at 1:00 p.m..